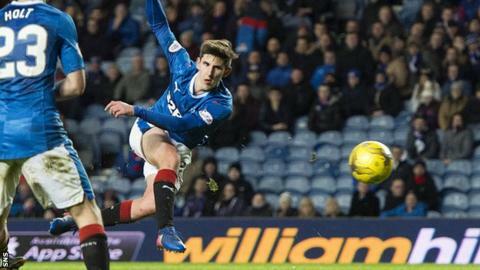 Bournemouth midfielder Emerson Hyndman has opted to join Hibernian on a six-month loan deal because his style is "well suited" to the Scottish game. The American, 22, spent five months at Rangers between January and May 2017. Should he receive international clearance, Texas-born Hyndman will be available for Hibs' Europa League third qualifying round first leg meeting with Molde on Thursday. "I enjoyed my previous time in Scotland," he said. "I'm looking forward to meeting up with the squad and hopefully working my way into the team." Hyndman, who joined Fulham's academy in 2011 and signed a four-year contract with Bournemouth in 2016, becomes the fourth player to move to Easter Road on loan this summer. It follows deals for Liverpool goalkeeper Adam Bogdan, Darmstadt 98 striker Jamie Maclaren and Manchester City winger Thomas Agyepong. Hibs have also signed former St Mirren midfielder Stevie Mallan and secured the return of Florian Kamberi to Leith on a three-year deal, following the striker's successful loan stint last term. However, head coach Neil Lennon lost influential midfielders Dylan McGeouch, to Sunderland, and John McGinn, who agreed a move to Aston Villa on Wednesday.